We at DrasticData provide services and knowledge for visualization and data science projects. We make data visualizations that are dynamic, interactive, to the point and efficient. 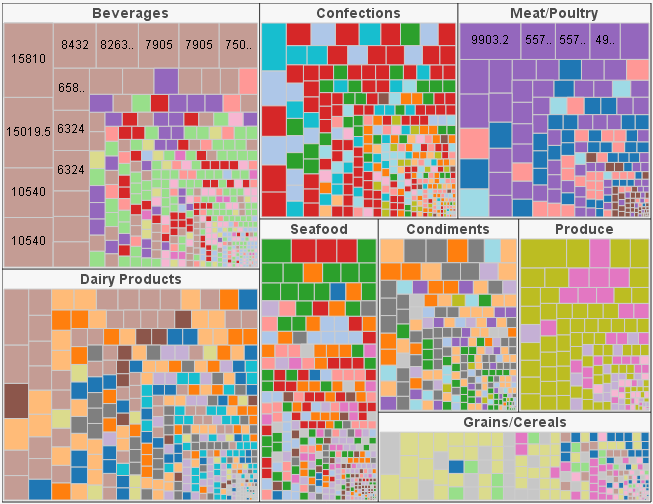 Explore your flat or hierarchical data in a treemap, circlemap, hierarchical bar chart or scatter plot. We dive into the metadata of your data, system or content and report about it in a visual way. Student flows in the Dutch education system. 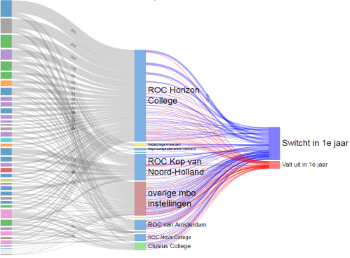 We recently finished a project visualizing flows of students in the Dutch education system. It uses interactive Sankey diagrams to show the more than 40 000 individual flows. The user can view the huge dataset from multiple perspectives, per region, per school, or per type of flow and for one of multiple years. 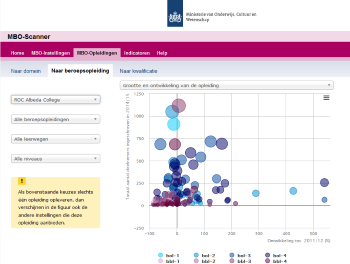 The visualization is hosted on the site "sterk beroepsonderwijs", a cooperation of educational institutes and business. 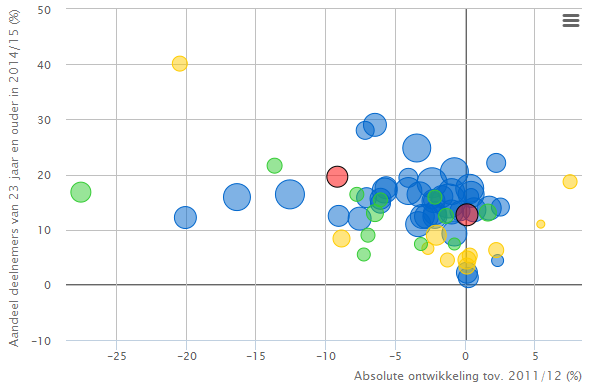 On november 19th 2018 a site went live using visualizations from DrasticData on regional data on the Dutch education system. 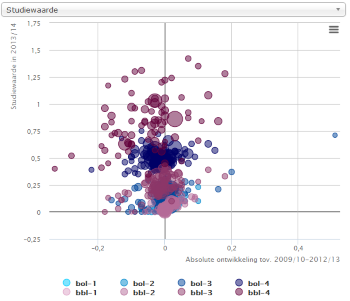 The visualization is hosted on the site www.onderwijsinderegioincijfers.nl/. 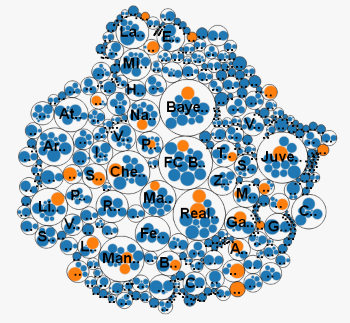 It now supports scatter- and bubble plots and multiple groupby. For MBO Raad we changed the look and feel of the MBO-scanner. 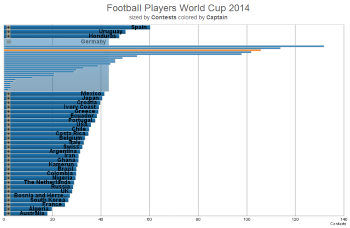 Treemapping now supports hierarchical bar charts. 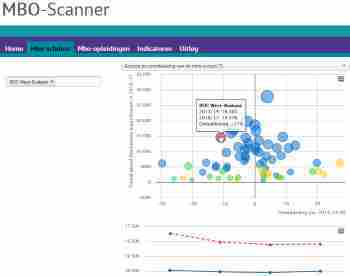 The MBO-scanner site was extended with additional graphical functionality and new data. You can now upload your csv file on-line and make treemaps, circle diagrams, barcharts on the fly. For the Dutch Ministry of Education, Culture and Science we developed an interactive site to browse through a huge amount of data on educational institutes and courses. Works on Ipad as well, hierarchical circle diagrams supported (see picture).